While there are many approaches to speaker design, the true determinant of success is implementation. When it comes to open baffle speakers, few do it better than the legendary Siegfried Linkwitz. His Orion-4 speakers use two tweeters in a dipole arrangement, a single dipole midrange, and twin woofers mounted vertically in the bass of the cabinet (all drivers from SEAS). 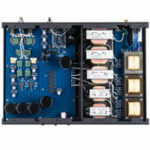 The system is controlled by an active cross-over that also handles equalization. The price of $14,750 includes the speakers and cross-over. 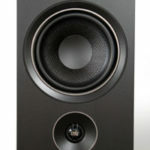 The system sounded spectacular, with fantastic drive integration, smooth yet powerful bass, and lovely highs. 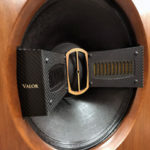 I recently described my visit to Audio Arts, a brand new salon in New York City featuring the Voxative speakers. Gideon Schwartz brought the Ampegggios to AXPONA, where they were powered by a Fi preamp and Fi 421 amplifier (4 Watts per channel), with a Lector CD player at the front. Though plagued by a room with near-gale force winds coming from the AC vents, the sound was as I heard it in NYC : coherent, dynamic, and extraordinarily low in distortion. One of my favorites. As a lover of horns and vintage gear, I have long been intrigued by Classic Audio Reproductions. Their speakers improved dramatically a few year ago when they switched to brand new field coil drivers. I was delighted to find that this year they sounded better than ever (perhaps due to room acoustics). On one wall were the T3’s, on the opposite wall Hartsfield’s, both powered by Atma-Sphere OTL amps. Both were magnificent, with incredible, unrestrained, life-like dynamics. The T3s were a bit more refined in the bass, the Hartsfield’s a bit more enveloping, but plain and simple both made glorious music, with absolutely no trace of “hi-fi.” I could happily live with either. I have heard the Scaena speakers a few times over the past few years and while always sounding good, they never wowed me. Well, this year I was wow’ed – big time. The Scaena towers each contain twelve midrange units (each in its own pod), and nine ribbons. 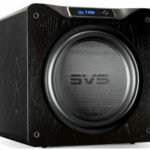 Lower octave duties are via two pairs of subwoofers, powered by their own amp with cross-over. 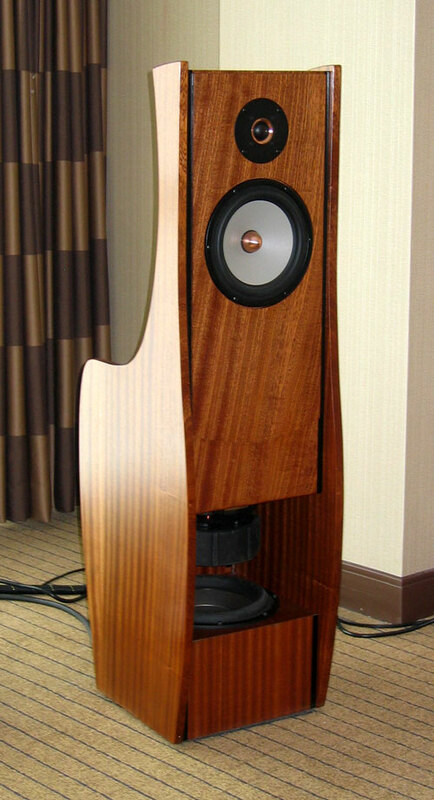 Amplification for the towers was provided by two BAT Rex monoblocks ($15,000 each), which were preceded by a BAT Rex preamp ($20,000). Analogue signals were provided by a Spiral Groove turntable and arm, with a brand new cartridge (approx. $6,000) made specifically for BAT by Peter Ledermann of Soundsmith, feeding a BAT phonostage ($10,000). On the digital side was a full CS Scarlatti rig, and a Scaena music server. Racks were from Critical Mass, and cabling from Kubala-Sosna. This system did many things extraordinarily well, but what was most impressive was its sense of scale. While many large tower speakers can play large, the speakers themselves usually sound…large. In stark contrast, the Scaena/BAT system never called attention to itself and in fact, the speakers disappeared the way mini-monitors do (a function I imagine, of a superb cross-over). And despite its majestic scale, it could also play intimate passages with delicacy. It was also coherent, tonally beautiful, and resolute. I spent many hours in this room listening to a wide variety of fantastic music, and would like to express my gratitude to Alan Eichenbaum and Sunny Umrao of Scaena, Geoff Poole of BAT, and Joe Lavrencik of Critical Mass Systems for their hospitality and graciousness. I have always maintained that the best part of audio shows is the people. During my three days in Atlanta I re-acquainted with old friends, and made a number of new friends. We laughed, broke bread together, shared stories, heard great music and terrific gear. From my perspective, it doesn’t get much better than that. I eagerly await the upcoming show this June in NYC.